Amazing martial arts classes in Coventry that build confidence & change lives! My name is Serge Bouyssou and I am the owner of Mayo Quanchi Judo & Wrestling. When I began my martial arts journey, the positive impact it had on my life was remarkable. It was always my dream to someday own my own school and when I opened Mayo Quanchi Judo & Wrestling in 1996, I made a commitment to our community in Coventry to create an enjoyable environment for students to improve their fitness, while building confidence they can carry into their everyday lives. It is my privilege and honor to take the the knowledge I have received in my own martial arts training and pass it on to the students at my school. It is our goal to inspire strength, discipline, confidence and focus in our students, to help them discover their inner leader. I believe every child has the potential to be a leader, they just need someone to believe in them. I understand the challenges of raising a confident and focused child in an age where there are more distractions than ever. And while the kids have their fun, our adult program is second to none. 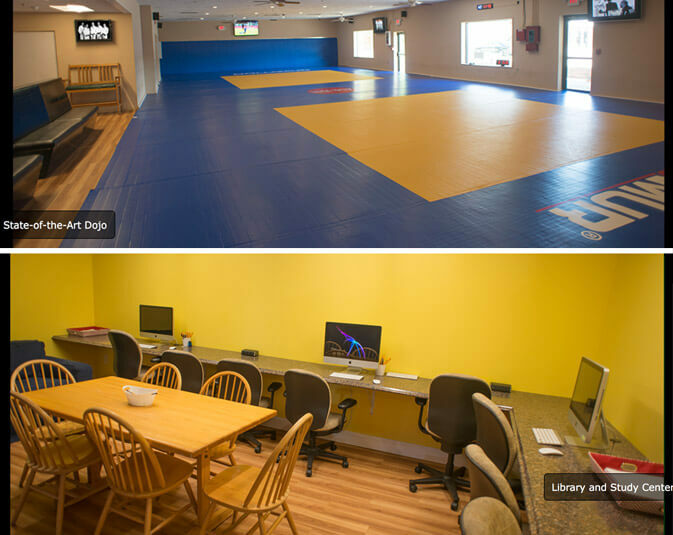 From traditional martial arts to more modern self-defense styles, there is something for everyone at Mayo Quanchi Judo & Wrestling. If you are looking to burn major calories, learn self-defense moves and get in the best shape of your life, you must come and check out our adult program. Mayo Quanchi takes pride in the fact that it consistently produces world class competitors. The process of grooming elite athletes requires exposure to competition around the country and the world. In many countries, there is governmental support for their athletes. In the United States however, we depend on contributions from our families, many atheletes sacrifice training to work, and we count on sponsors, like you, for financial support. Any contribution is helpful and greatly appreciated. This Dojo is one of the best in USA, hard training and discipline.....The advances and results in the athletes are seen in a short time.....What I admire most about this Club is the fellowship that exists in all its members, they are an example to follow. "One Team one Dream"
Amazing team and group of instructors.... I have seen huge results from my kid training there. Mayo Quanchi's reputation is World-Renowned for producing the best all around athletes Judo Champions and Wrestlers! Rhode Island does not even realize how lucky they are to have them right here in their own back yard! Sensei Serge and his Captains are the best around, and I know all who rub the mat and shoulders with this team/family of martial artists come out a much better person after learning their code of respect, loyalty, honor and brotherhood! Can't wait for my 1.5 year old little girl to make the weight limit to enter this dojo of Champions! My interest in Mayo Quanchi started with wresting. It soon branched out to Judo. The environment allows you to strive to your potential to reach your goals. Young or old like me, I have recommended Mayo Quanchi to many. I'm what you would call Alumnus. I've been attending Mayo Quanchi for many years now, since the late 1990's actually. In that time I have grown to love and respect not only Sensei Serge and Liz but also myself and my fellow students and instructors. Mayo Quanchi has grown into my heart and become my family; without whom I am truly lost. I can't ever stay away for very long, in fact my niece, Gia, just started her MQ journey a few days ago and already we are practicing breakfalls together! Thank You Mayo Quanchi for making Me!